Now at last I have an answer for all those people who say when will your cards be ready. I am pleased to announce that printing is underway and shipping will start later this week. I have put in a limited order for 50 packs for this first edition. You have the chance to get one these so order today. Each painting I have used for the cards is unique (one of a kind). Many come from my 365 day Heart Whisper Painting challenge, some from my Intuitive heart series that was part of my healing process and many were painted for my Heart Whisper Inspiration E-zine. The message on the cards come from my own heart whispers. What will you get. 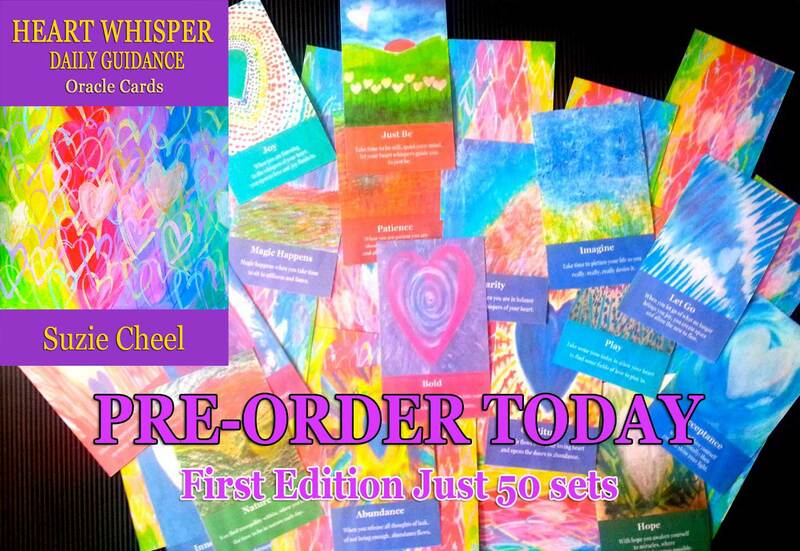 There are 42 cards, 38 oracle cards and 4 guide cards and there will be a link to a special page where you can discover more ways to learn to listen to and be guided by the Whispers of Your Heart. If preorder now and are a member of the Heart Whisper Circle through my website and the facebook group you will get a free webinar late in January 2016. Suzie, your new cards are beautiful – just mentioned them under the comments on my current blog post. You continue to color the world beautiful, Suzie! Congratulations on the launch of your lovely cards. I was just thinking how light and bright your art is… as if it radiates love, beauty and peace… Thank you for sharing your heart with us, Suzie! Congratulations Suzie – it’s been awesome following your progress and I’m so happy and proud for you! 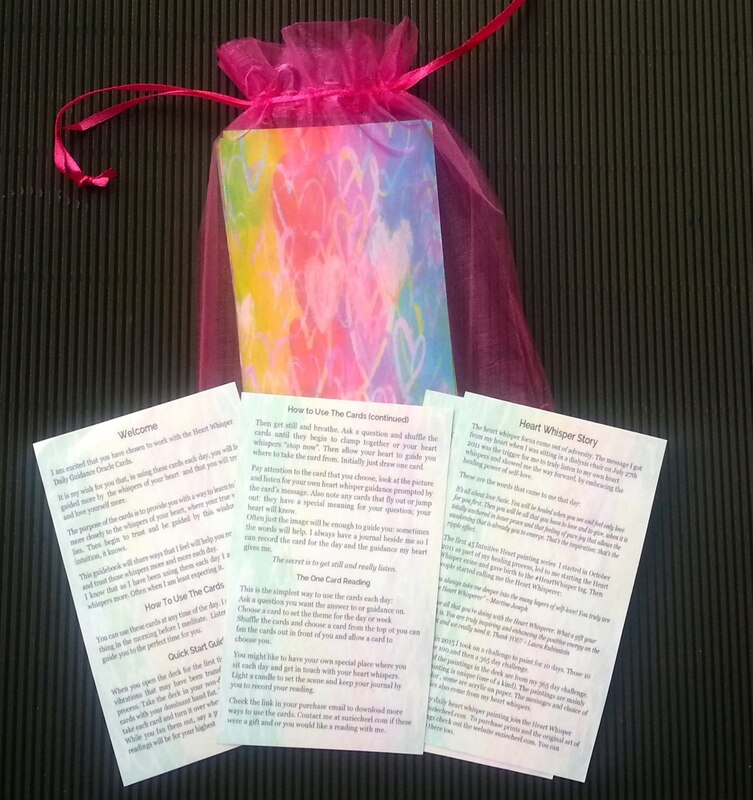 Your Oracle Cards are simply stunning and I just know they will find their way into many grateful hands. Wishing you all the best for the holiday season. Suzie, this is beautiful!! You put it together so fast — and it looks polished and absolutely awesome. Go you! I love your cards, Suzie! They are so colorful and uplifting! I know you will be very successful with this project! Congrats!! Congratulations on getting this project out into the world Suzie – what a lovely holiday gift! Suzie, These are just gorgeous! I’m ordering!! 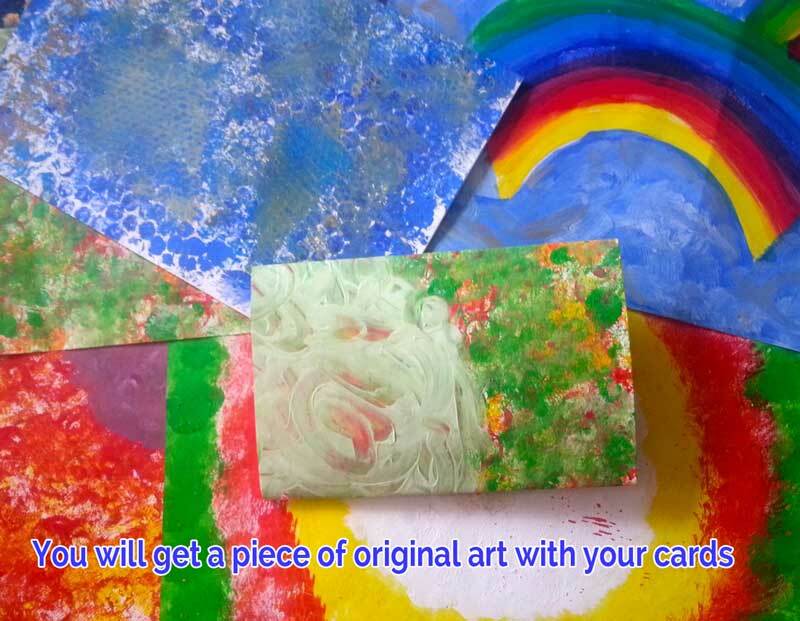 They are beautiful – as all your heart paintings are, Suzie – since they come from your heart. Congratulations! I’ve shared on my FB page. 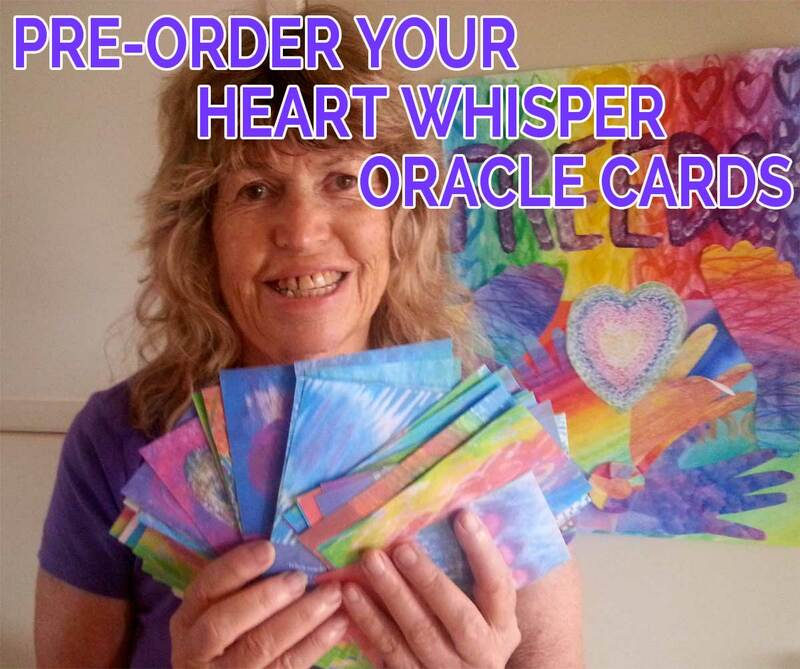 Congratulations on birthing your Heart Whisper Oracle cards to the world, Suzie! Love the energy and the joy in your soul colours. Wishing you great success in spreading the message out far and wide. Your loving heart shines through your cards, Suzie! Beautiful soulful gift to the world! Millen that is beautiful can I quotes you? Congratulations Suzie! They are stunning and I just know you’ll be placing a “re-order” before you know it!